It's that time again! Summer Games Done Quick returns for yet another event sure to be filled with some exciting moments that will put fans of the speedrun community on the edge of their seats! For those who don't know what it is, Summer Games Done Quick, also known as SGDQ, is an annual event that falls every summer that brings the world's best speedrunners gather together in one place to try and beat games fast! There are a range of different categories, from beating the game as quickly as possible by any means, to attempting to fully completing the game with all of the collectibles and quests. Everything will kick off on Sunday, June 24 and will run until Sunday, July 1. Once again, all donations this year will go towards Doctors Without Borders, a humanitarian organization where medical professionals visit war-torn areas and developing countries and help the people in need, especially those affected by epidemic diseases. Those who donate have a chance to win various prizes, and the entire event will be streamed online. In this article, we'll run down all of the RPGs that will be featured during the marathon! For the rest of the schedule, you can check it out here. The times will be adjusted as the event goes on based on how long the races go, so be sure to check that link periodically while you're enjoying the show. There are also bonus games that will act as incentives for donators to be announced during the event, so be sure to donate if you want to see them! 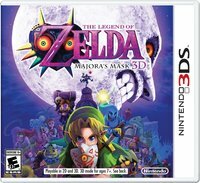 While we have to wait until the first afternoon before we get to our first RPG, it kicks off with a bang with an Any% run of The Legend of Zelda: Majora's Mask 3D for the Nintendo 3DS by gymnast86. He's one of the Top 10 fastest speedrunners for this title, so it should be an exciting showcase! Now we get to something a little bit different on Monday. GreenZSaber will be showing us how it's done as he plays through Disgaea 5: Alliance of Vengeance on the Nintendo Switch in a New Game Any% (No DLC) run. GreenZSaber has shown off this game a number of times now including last year's Questing for Glory and this year's RPG Limit Break. The dude knows Disgaea 5 inside and out. gymnast86 is back again as he takes a stab at The Legend of Zelda: Skyward Sword for the Nintendo Wii in an Any% run. While he is in the Top 10 for Majora's Mask 3D, he currently holds the second-fastest run for Skyward Sword according to the leaderboards on Zelda Speedruns. Speaking of records, Zmaster91 is the current world record holder for The Legend of Zelda: Four Swords Adventures for the Nintendo Gamecube in the Any% category. As someone who absolutely adores Four Swords Adventures, this will likely be a wonderful highlight of the event! Now we have ourselves a three way dance as LackAttack24, BT, and Eunos all compete in a Low% race to the finish in The Legend of Zelda! LackAttack24 is the current world record holder, but Eunos is only a second behind on the leaderboards. Meanwhile, BT speedruns a ton of games, so it isn't terribly surprising to see him here. Fans may also remember that BT competed in the same three-way Zelda race during AGDQ 2018 - though that was a 100% run. While he can't be found on the same Zelda Speedruns site for some reason, according to the SpeedRun website, mightymth would count himself among some of the fastest Any% runners for The Legend of Zelda: Oracle of Seasons. Which is good, beacuse Oracle of Seasons is a great game, and it's nice to see it make an SGDQ! Oh yeah, this is what I'm talking about! imglower will be playing through Paper Mario on the Wii U Virtual Console in an Any% sure to delight fans of this RPG classic. He just so happens to be the world record holder for the game in this category as of 5 months ago, so expect an entertaining show! After all these Japanese games, it's nice that we get to see what the Western side of the genre has in store for us in terms of speedruns. That's where Heinki, another great speedrunner comes in as he races through Deus Ex for PC in an Any% run. Cyberpunk fans should take note! Heinki is back with the most recent entry of the Deus Ex series with an Any% run of Deus Ex: Mankind Divided. There isn't much more to say than I am looking forward to seeing how broken the game has become since its release. Prey (2017) is a fascinating game deserving of more attention, and it looks like LifeL1ke may be the one to do it as he performs a No OoB (Out of Bounds) run through the game (of which he is the current record holder) on Thursday afternoon. For those unfamiliar, there are certain methods runners can take that can glitch them outside the boundaries of the levels to quickly get through the game in no time. Obviously, this does away with that option, so what we're getting is as close to a legitimate run as this type of event allows - aside from taking advantage of some glitches. Borderlands is always better with friends, and Shockwve and Amyrlinn want to show you how with their Co-Op Any% run of Borderlands: The Pre-Sequel that is sure to be a treat to watch! Now we get to one of my personal favorites, and it's world record holder mistmaster1 performing an Any% Level 1 Proud Mode run of Kingdom Hearts HD 1.5 ReMIX. Yes, that's right - the epitome of the low-level challenge in this game. I can already feel my nails biting themselves. Linkus7 is one of the top The Legend of Zelda: The Wind Waker HD runners out there, and he will be taking the controller for an Any% run through one of the best titles on the Wii U. This is simply something else. MeGotsThis will be playing both Pokemon Yellow and Red for the Game Boy, at the same time, with a single controller - also known as an Any% Glitchless 2 Games 1 Controller run. My brain can barely function when focusing on a single thing, so the idea that someone is going to play two games at once makes my head hurt. One of the real highlights of Awesome Games Done Quick 2017 was seeing TGH cap off an incredibly successful donation drive (over $2 million in total) with a True Pacifist Ending run through Undertale. It seems this same run is back by popular demand, but this time, it's SnowieY101 who will be handling the controls this time. Runnerguy2489 is taking the helm for one of the true classics of the genre, The Legend of Zelda: Ocarina of Time, in this Any% run through this classic on the Nintendo 64. A great way to spend a Saturday, to be sure! The final run of the entire event, this has veteran RPG speedrunner puwexil on the controller as he makes his way through Final Fantasy VI in a Glitchless Any% that still ends up taking just over 7 hours to complete. puwexil's runs tend to be quite informative and entertaining, so you definitely want to put some time aside to watch this one! There you have it - a list of all the different RPGs to be featured during Summer Games Done Quick 2018. Are there any titles in particular you're excited to see? Leave a comment below!